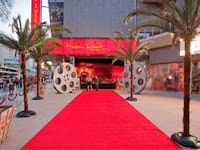 Madame Tussauds Hollywood is the place where you can “meet” celebrities under one roof! It is the best new interactive wax attraction in Los Angeles located next to the world famous Grauman’s Chinese Theatre and Walk of Fame. This is your chance to experience the glamour by getting up close and personal with over 100 incredible life-like wax figures from the world of film, music, sports and politics without velvet ropes and barriers between them. 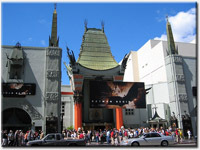 Madame Tussauds is located right next to the famous Grauman's Chinese Theatre Star Handprints and Footprints on Hollywood Boulevard and the Walk of Fame. SAVE UP TO $30 OFF ADMISSION!